Be prepared for these to shrink, a lot! I would say the volume was easily reduced by half, but they were scrumptious! 1. †Preheat oven to 450 degrees and lightly spray a shallow casserole dish with nonstick spray. 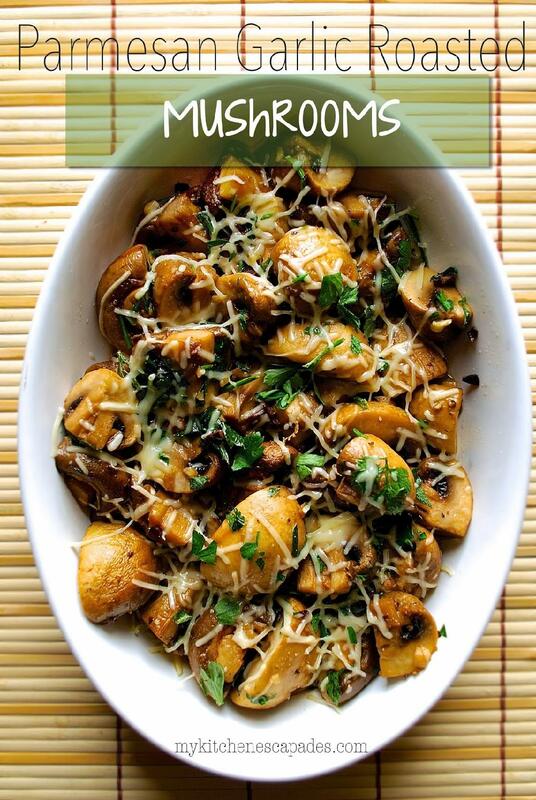 †In your dish, toss together the mushrooms, garlic, oil, olives, lemon juice, parsley, salt and pepper. †Dot the butter evenly over the top of the mushrooms and roast for 20 minutes, stirring half way through the cooking process. 2. †Remove from the oven, turn on the broiler and place the oven rack on the highest level. †Sprinkle the cheese over the mushrooms, return to the oven on the top rack and broil until the cheese melts and begins to brown, †about 3 minutes.